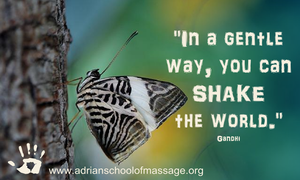 Adrian School of Massage exists because we believe that good touch can make the world a better place; and educated touch can breathe life and healing into a person's world. Our students are important to us, and we count it our mission to best equip them in their journey of not only benefiting their own life but also the lives of others. Our program is predominately research based in it's approach, with an emphasis on more western styles of massage - all while holding great respect for this industry's eastern heritage. ASM has smaller class sizes, creative financing, and a heart for the pursuit of excellence in massage education. 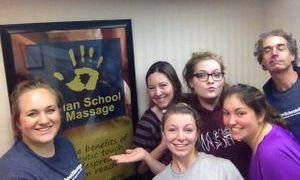 In the Fall of 2014, Christy Gagneur felt a calling to begin taking the steps needed to open Adrian School of Massage. One year later, with the help of a successful crowdfunding campaign and a lot of hard work, she watched this calling become a reality. 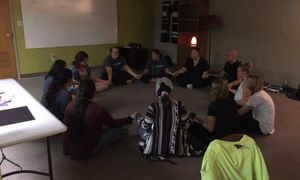 Her desire is that Adrian School of Massage would be a place of compassion, connection, and integrity. Each step has been a blessing! 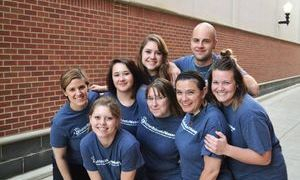 Intentional planning begins for a massage school in Adrian. This is when the physical frame work and plans for ASM started. A Leap of Faith - Our Crowdfunding Campaign raised over 500% of our original goal, including offline donations. Thank you for believing in us Amber Marie Lee! 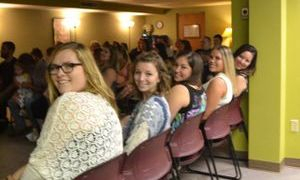 Our FIRST Day of Class! 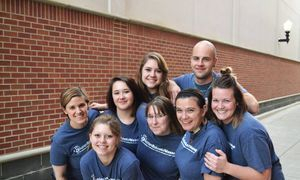 Class 01 began with 7 fantastic students, willing to embark on a brand new adventure! Class 02 began with 8 amazing students - having their classes mainly in the evenings and on Saturdays. This was also the fist time we had two classes simultaneously. First in Commercial Displays at the Lenawee County Fair! This was exciting for us considering it was our first fair and we didn't know they judged the commercial displays - a very sweet surprise! Graduation Day - Class 01! Our very first graduation day! This special group has played such a big roll in who we are today! A big group with big hearts! Great things are worth celebrating! We're so excited to watch this year unfold!